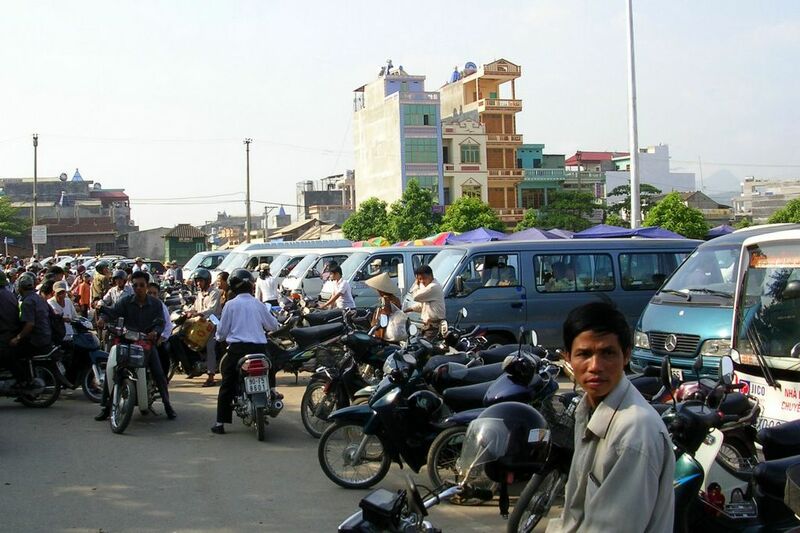 The train LC1 departed from Hanoi at 10:10 pm, and scheduled to arrive at Lao Cai at 7:20 am. But it didn’t arrived until 8:00 am. There was no sign that it’s Lao Cai station, except for this label at the building. Announcement didn’t help much as it’s in Vietnamese, so your best bet will be the warden. Outside of Ga Lao Cai train station, there were plenty of minubuses waiting to bring passengers to Sapa. However, we met a guy who went up the train carriage and asked us if we would like to take their bus to Sapa for VND 25,000. 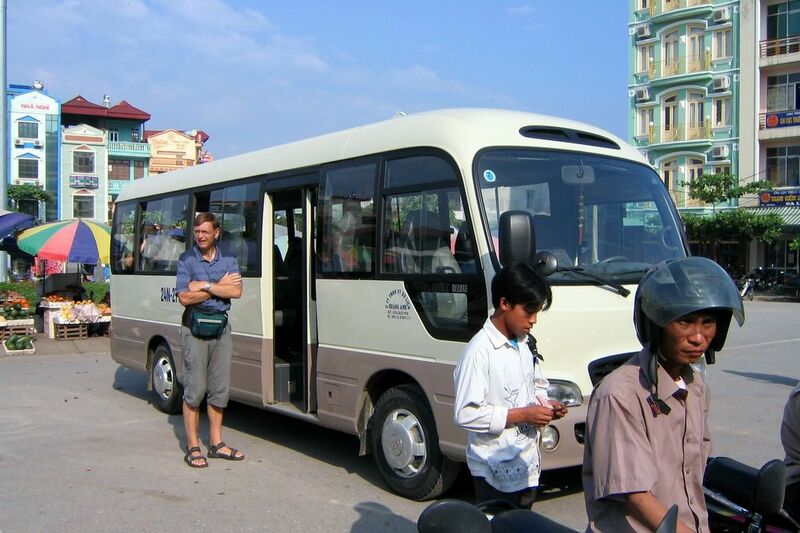 I agreed to take his bus after bargaining to VND 20,000. It ended up was the better bus with air-conditioning available, as it’s the bus from Mountain View Hotel to pick up their guests. 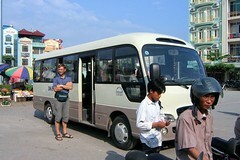 The bus that brought us to Sapa. It was with air-conditioning, but it’s useless, as natural air was even cooler when closer to Sapa. With Tim and Yvonne. 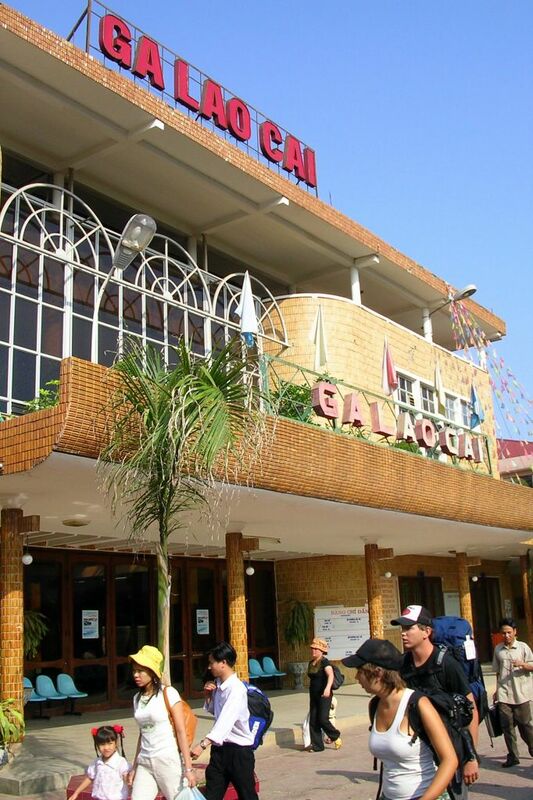 We stayed in the same cabin on the train from Hanoi to Lao Cai.